As many of you know, here at Big Red Beard Combs we’ll be adding some everyday carry items to the shop. We’ve got some exciting things in store, including our hand-crafted leather wallet prototypes, which will be put into production shortly. Best of all? 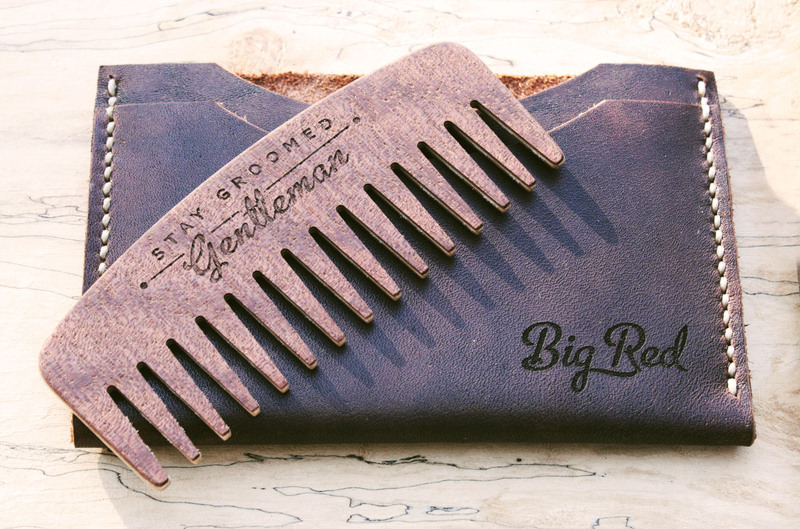 We’ve created them to double as a Big Red Beard Comb holder! 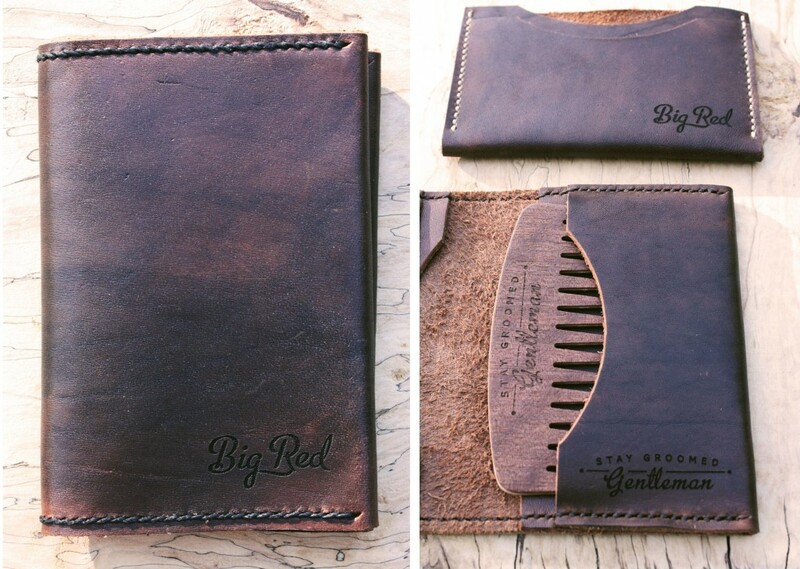 They will be offered in 2 styles, a card holder and a slim bi-fold wallet. Both can easily fit a No.9 or No.5, a couple cards and some cash. Really, what more could you need? What’s the difference between Beard Oil and Beard Balm? I’m one of the lucky ones who’s just got a number 9 comb, this would go great with it, when do you think you’ll have em in the store? We’re aiming to have the wallets in stock in about a month. Keep watching the site! I’ve set a reminder on my phone, cheers. looks like a beautiful piece of art!! i could totally see myself rocking one of these to go along with my No. 9 Comb. i will for sure be on the look out on this great product! 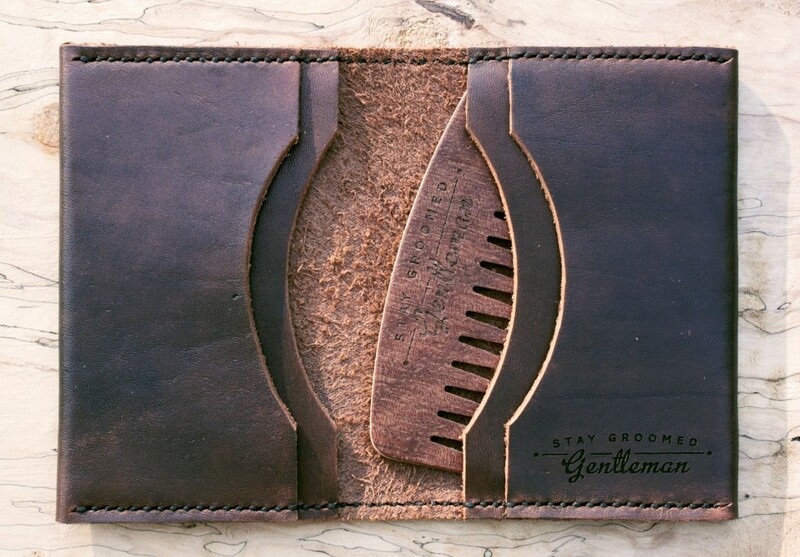 Have you guys thought about making another style of wallet that will have a slot for cash separate?